Wednesday, September 28th, 2016 from 5:00 to 7:30 p.m. The Trenton Historical Society is hosting a preservation event to highlight Trenton’s top restoration opportunities. The Society advocates for the preservation and restoration of Trenton’s many outstanding historic properties. By showcasing once viable buildings that have fallen into disrepair or are left unoccupied, THS hopes to draw interest to their reuse. The reception will take place on the rooftop terrace of the Broad Street Bank Building, located at 143 East State Street, at Montgomery Street. The Broad Street Bank Building is Trenton’s only example of an early 20th Century skyscraper renovated for residential use. 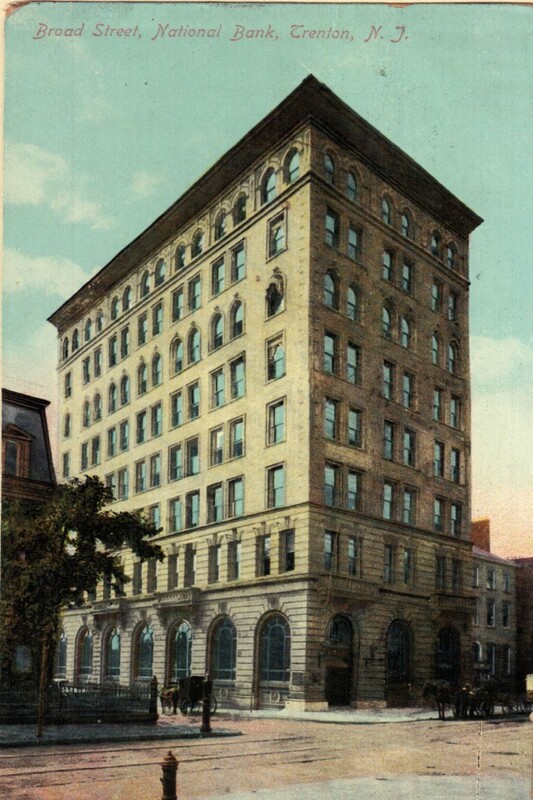 In addition to being the city’s first skyscraper, it was the first to use steel superstructure (I-beams), and boasts the first elevator installed in a commercial building, as well as the first revolving doors. By 2003, the building had been vacant for a decade and was badly deteriorated. After THS publicized the building’s plight, and thanks to the investment of the current owners, this Trenton icon is prosperous once again. The Top 10 event will highlight other landmark buildings that have been restored to use, as well as several that are in need of a redevelopment plan. THS hopes to reverse the fate of more of these important Trenton historic properties. Please join us at a reception honoring Trenton’s past and looking to its future.